Sure, it sounds like a clunky acronym, but it actually represents the future of communication and collaboration apps and services: UCaaS, or Unified Communications as a Service. The UCaaS model is designed to provide enterprise-level messaging, presence technology, telephony, video conferencing, and more. For businesses that are looking for a cloud communication solution that provides flexibility and scalability, unified communication solutions is the answer. Vendors providing UCaaS services offer everything from large-scale contact centers to team collaboration and online meeting capabilities. 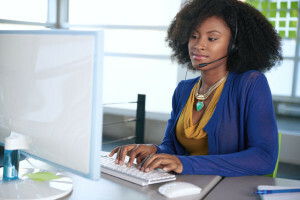 Managing auto-attendant, interactive voice, call routing and CRM solutions are the norm for operators making moves within the unified communications marketplace. Even more, vendors have begun to harness the power of technological innovation to give their offerings an even greater value proposition. UCaaS providers have moved beyond telephony. Today, they enhance their offerings by branching out into the depths of the market and adding communications platform as a service (CPaaS) and application programming interfaces (APIs) into their cloud portfolios. These additional services allow clients to customize solutions to be interoperable with their own business applications and workflows. Defined simply, the unified communications model can be described as the method of providing a variety of communication and collaboration applications and services over an IP network. There are essentially three different cloud solutions that work within the common unified communications framework. First are private cloud solutions. These offerings provide businesses with business software platforms that are customized to their specific need. It is generally easier to integrate onsite workplace applications with those built into the private cloud. Second are solutions based in the public cloud and sharing a single platform. These Software as a Service (SaaS) solutions often have the application interface hosted off-site. For enterprise companies, public cloud solutions are more simple. Finally, a business can take the hybrid approach. This allows a company to utilize the benefits of the unified communications approach and keep some of the applications hosted on-premise, while other capabilities can be hosted off-site and in the cloud. What does UCaaS look like in action? Rather than seeing your business spend time, treasure, and manpower purchasing, installing, configuring, maintaining, and upgrading on-premise servers, all your business communication requirements can be seamlessly provided through a cloud-based solution. This translates into less infrastructure spending, overhead, security risk, and more. Once you have settled on a provider, you can harness the power of your UCaaS solution in concert with the capabilities of your current IT staff. Rather than spend valuable time scheduling tests and toiling over each new software update, unified communications platforms can handle bug fixes and updates automatically via the cloud. By eschewing the expensive equipment and upkeep costs, you eliminate many different individual bills. When you partner with a UCaaS vendor, your budget becomes a lot more flexible. You generally pay a monthly licensing fee that varies by cost per user and use type. No longer do you need to worry about amassing a huge war chest to cover massive capital expenses. Finally, the flexibility of a unified communications platform simply can’t be beat. If your business fluctuates with seasonal variables, you suddenly won’t have a bunch of silent servers gathering dust. A unified approach allows you to scale your operation up or down as needed depending on business conditions.